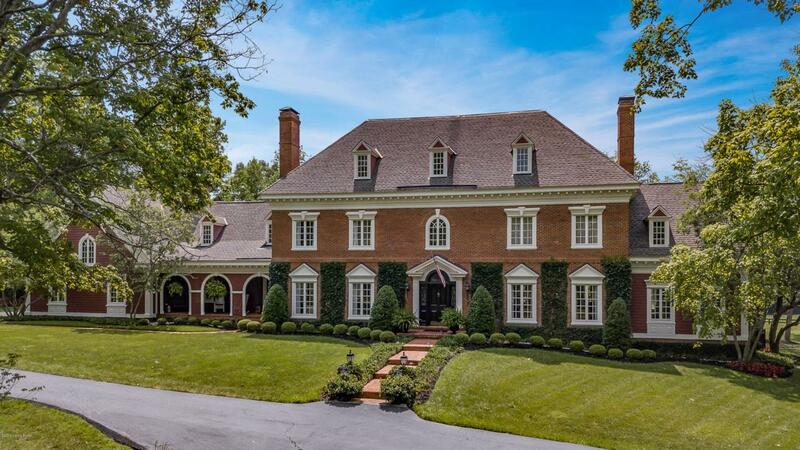 Covered Bridge Farm is a captivating estate located in the heart of the Bluegrass. This property is currently being loved as an elegant equestrian facility but we invite you to consider the possibilities... a guest ranch, vineyard, private residence and compound.... The potential is endless. The manicured grounds and meticulously maintained structures include: 111 acres on 3 parcels with 3 and 4 board horse fencing, run in sheds and automatic waterers in each pasture, pond with water feature and well house. Let us not forget the storied covered bridge that is the namesake of the property. Owners Residence - Georgian Manor with 200 year old log cabin room, extraordinary Pool and pool house with a guest apartment over the garage.Main Barn with horse stalls, tack and feed rooms below an enchanting party space, office and separate apartment above. Just outside the barn is a professional riding arena. 60ft x 80ft. workshop and equipment shed adjacent to the barn. Masterfully built and fully furnished log cabin guest house that sleeps fourteen comfortably. Log Cabin residence also has an efficiency apartment above the garage. 1200 square foot tenant house with 3 bedroom and 2 full baths. ******Please see detailed descriptions of all structures and property located under documents on the listing!